Some intersting information about who we are! Our staff are professionally trained Mechanics along with additional training in advanced engine management tuning systems. We are a licensed Western Australian Motor Vehicle Repairer. All parts and labour is guaranteed with a 12 months / 20,000km warranty. We only use the highest quality brand products and lubricants on vehicles. All dyno tested for power and reliability. We develop our Performance Power kits internally for a range of specific vehicles. All testing and Dyno Tuning is performed on our Dyna-Pack Hub Dyno for the most accurate results. We ship all of the products we design, use and stock world wide. From the Eastern States of Australia to Peru. Whilst our Engine Management Section is becoming popular, our range of Mitsubishi products are by far what we ship the most. Racing Fuels for all forms of motorsport. We are the larged Distributor of Racing Fuels and additives in Western Australia. We stock and supply leading brands including Coogee Methanol, ERC, Sunoco, VP and Powerplus Racing Fuels, Powerplus and Sucrogen E85. We also distribute leading additives likes Octopus Tyre Grip and Manhattan Oil products for Methanol. Many of the vehicles we tune (race vehicles) utilise these fuels. We are able to provide experienced advice as to which fuel best suits your application. More Information on our Workshop and our Dyno Tuning Services. Click on Image for more detailed information. Late model Direct Injection common rail Diesel models - More Power, Torque and improved fuel economy! All Tuning performed by Remapping your factory ECU - no piggy back systems, no check engine lights or limp modes. Diesel Particular Filters – today’s number one issue with late model diesel vehicles. Blocked, check engine lights and limp home modes! We can fix this! Sick of laggy gearbox changes? Inconsistent gear choices? See what we can do for you for your Volkswagon and Audi vehicle! Installation of Engine Management Systems including plug and play, full wiring and replacement of older model ecu brands! Street, Strip, Circuit Racing and Four Wheel Drive vehicles. All dyno tuning performed on our four wheel drive dyno. The Dynapack Hub Dyno and our Dyno Tuning Services. 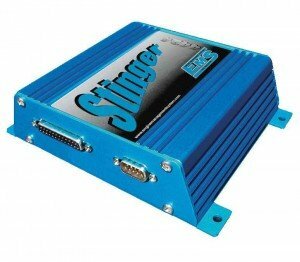 Find out why its the best tuning system for your vehicle. Mitsubishi, Proton, Hyundai or Great Wall engine rebuilds! Our original core business - one of our specialised services. Remapping Factory ECU services are available for the majority of late model vehicles! Improved power, torque and fuel economy without requiring any wiring changes. Does your vehicle need general servicing or repairs? Whether it be a normal sedan, four wheel drive or race vehicle. Our foundation is still that of a general automotive workshop. Old school carburettors – some things are just too good to die! From Alfa Romeo’s, Datsun Rally Cars, Chrysler Hemi’s and English MGBS to name a just a few. Its a dying art - and one that we are continuing to provide. 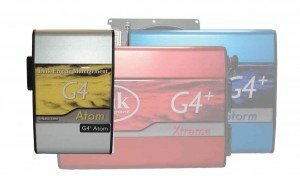 We tune with the many of the best tuning systems on the market. Here are the main ones that we personally recomend and do the bulk of our dyno tuning on. AEM’s systems include full replacement systems and piggy back systems. Very advanced tuning these are mostly found in the USA but are becoming more popular within Australia. 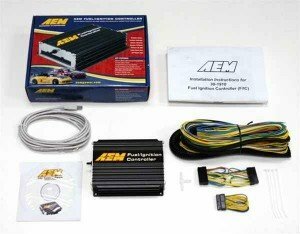 AEM’s Series 2 Plug & Play EMS – plugs directly into a vehicle’s factory ECU harness and requires no additional wiring or hardware. 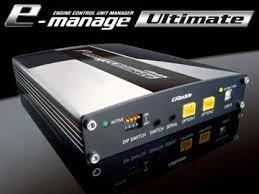 AEM’s EMS-4 – Universal Standalone engine management system is designed for Power sports and 4-cylinder race vehicles. AEM’s F/IC – allows racers to retard ignition and deliver accurate amounts of fuel to after market forced induction race engines without the need for outdated FMUs or “boost hiding” controllers. We are one of the few firms who have had any dealings with AEM Systems and whilst we are no expert compared to well seasons USA tuning firms, we have tuned enough of there systems over the years to be able to provide a quality service. We particularly like the AEM F/IC units with supercharged 4wd vehicles with the flexibility they provide in there tuning and retaining stock ECU’s. 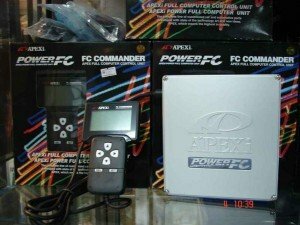 The Apexi Power FC proudly stands as Apexi’s answer to the constraints and limitations associated with most piggy-back style fuel controllers. The Apexi Power FC is a complete, stand alone, total engine management system capable of handling virtually anything thrown in its path. These are direct fit plug and play kits, with optional use of factory Air Flow Meter or After market MAP Sensor, with boost control features. From multiple point fuel and ignition control to VTEC engagement (Honda applications) and boost settings, the Power FC is capable of accommodating even the most demanding performance enthusiasts. Racing Performance Works only tunes with the official laptop software, enabling us to tune properly without compromise. We have been tuning many Japanese vehicles especially the Nissan S13, S14 and S15 Series which uses these systems for drift vehicles. 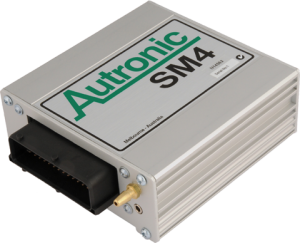 Autronic has years of experience which has now been incorporated into the new SM4 ECU. This ECU has more features than previous generations to allow for a greater range of engine configurations. Modern engines have variable camshaft control and the SM4 can control most systems. Full proportional control with full advance and retard is less than 1 second. An optional internal Knock module is available to give secure detonation avoidance on an individual cylinder by cylinder retard of fuel enrichment or both. RPW has been tuning Autronic systems for many years. We have always found them to be a quality system, the first system to be Volumetric Efficiency (VE) Tuning based. Unfortunately there systems are subject to ageing software and are inflexible compared to the newer products on the market. 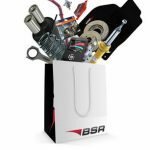 Racing Performance Works is now a WA Agent for the renowned tuning company BSR Tuning. We can provide all of there custom tuning options, performance packages and access to there specialised Knowledge in European Vehicles. If you own a European Vehicle, speak to us about what we can do for you. More than 20 years of experience in professional racing and race engine development. One of the key global players in car tuning with over 100 distributors in over 20 countries. 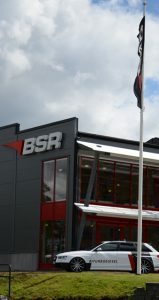 All product innovation & development is done by our in-house engineering team in our cutting-edge, test facility at BSR headquarters in Växjö, Sweden. All cars that we develop tuning for, are tested individually with a “Rototest” dyno and by our professional test drivers. Each tuning file and tool is specially developed for each particular engine. No other systems (trip computer, traction control, torque converters, service intervals) are affected. The company is powered by highly knowledgeable automotive and software engineers. Our staff are enthusiasts with many years of experience at racetracks all over Europe. BSR’s unique PPC device (Portable Programme Carrier) is exclusively available from us. This handheld computing device makes it possible for you the driver, to easily tune your car yourself, or to return the vehicles original factory settings. BSR has broken the world speed record for production cars, developed the world’s first ethanol-powered WRC rally car, and for the first time in the world, converted a diesel car to ethanol-power. The XEDE is an interceptor style Engine Management System. It generates changes in fueling and ignition timing by changing the factory ECU’s load and crank reference input signals. It has the additional functions of two stage intercooler water spray control or potentially any other on/off or PWM function including injector drive for an additional injector. 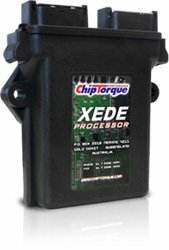 The XEDE can generate data logs and importantly can also store two separate programs which can be changed at the flick of a switch while driving – 98 Octane or 91 Octane fuel maps. 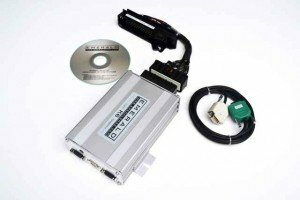 EcuFlash is software used with the OpenPort 2.0 hardware interface, and give us the ability to safely and accurately tune and re-flash many Subaru, Mitsubishi and Toyota vehicles. EvoScan is the logging software used in conjunction with EcuFlash which enables us to accurately tune the vehicle. 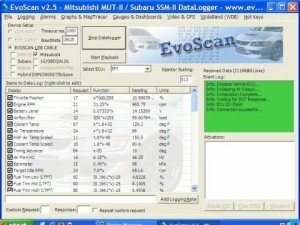 This software is Mitsubishi and Subaru specific which is its greatest strength. 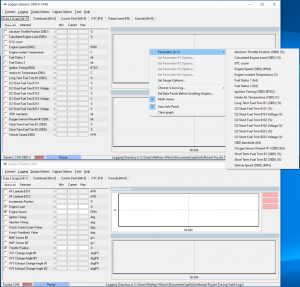 Romraider is another editor / logging tool specifically for Subaru vehicles, utilising EcuFlash for the reading / writing process. We are known for tuning reliable and fast vehicles using EcuFlash combined with Evoscan. Many of the daily drivers modified and tuned by us, are making in excess of 400 + Hp and has done so for more than 60 000 miles. Our philosophy of reliable dyno tuning of each project as if it is our own has ensured reliable performance for our customers. Other than the actual cost of tuning the vehicle on the dyno there are no additional licensing fees for EcuFlash itself, thus making it a cost effective way of high performance engine tuning. We have been developing our re flash technology utilising the EcuFlash software package. The actual ‘map’ in an ecu is only a hex file that is of little use on its own. EcuFlash allows the hex file to be read out of the ecu, and a ‘definition’ file is then used to distinguish which areas of the hex file contain the relevant tables that the ecu accesses. Modification can then be made to the tables as required before the hex file is written back into the ecu. The key to effective re flashing is the development of accurate definition files. With the majority of the EcuFlash community being based in the USA, a lot of the readily available definitions are not suitable for the JDM and Australian vehicles. We have spent countless hours of dyno time checking, testing and developing our library of definitions to ensure safe and reliable results for our customers. We pride ourselves on providing performance without compromise, and we have not rushed into the re flash market. Getting an Open Source tune for your Mitsubishi, Subaru or Toyota has never been easier and more reliable than having it dyno tuned at Racing Performance Works. Kia, Hyundai and a growing range of new model vehicles. Emerald manufacture the aftermarket standalone K6 ECU (Engine Control Unit) with over 17 years of experience in automotive electronics, engine management and calibration as a company. Founder of Emerald M3D Ltd is Dave Walker, well known in the UK for his many articles and features in various motorsport publications and huge experience in engine management, Dave has now celebrated 50 years in the automotive industry. Our aim is to provide user-friendly, capable and reliable engine management systems with 1st-class back-up and technical assistance – whilst at the same time not costing the earth. Emerald engine management systems are capable of handling full 3D mapping of both ignition and injection on most normally aspirated and turbo engines – from classics through to the latest engine designs. Emerald systems are both straight-forward and logical to use and many of the “big” features found in competitor systems are included as standard in Emerald’s ECU’s. ECUMaster is a new product range to the Australian market place. Products include high level Engine Management Systems, piggy back ECU, Haldex programmable differential controllers and blue tooth / canbus systems they have a comprehensive range. Racing Performance Works is the premier dealer for ECUMaster products in WA, which has come about with us initially supporting customers with these systems, researching the software and becoming familiar with how they work. With our growing experience, we can continue to excel in providing the same levels of tuning support as to which we provide for other more well known brands. Emtron Australia has created a range of high end engine management systems for a market requiring additional power and flexibility. The product range includes output and input channel capability not commonly found in the after market. The aim is to provide the latest electronic component architecture and ensure only the best performance. Although the company is in its infancy, it is built on many years of engineering experience at both hardware and user level. This goal, of course, means that an enormous amount of effort and dedication to research and development needed to be invested in order to create a product line that offers unparalleled I/O capability, user defined flexibility of control tables, and copious amounts of data logging all in an “OEM” quality package that costs much less than the leading competitor’s offerings, which won’t stand up to the types of temperature and vibration abuse our products take on a regular basis. 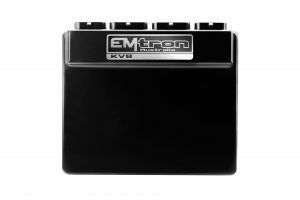 Offering plug and play for some model vehicles, the KV series includes drive by wire control and other advanced features. 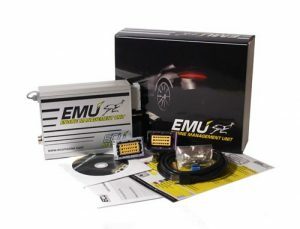 Racing Performance Works is working now with Emtron to become a referred dealer for this new product line. 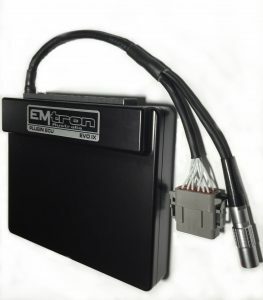 The e-Manage system is a true universal “piggy-back” type unit that taps into most Japanese factory ECU wiring, by utilizing the vehicle’s existing sensors (or optional upgraded sensors if factory sensors are maxed out). 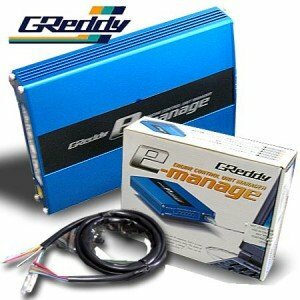 The GReddy e-manage Ultimate is as close to a stand-alone management system as you can get while maintaining the best features of a “piggy-back” engine management; an economical price, the usage of existing sensors, the ability to easily alter factory settings and not having to tune from scratch. In addition to standard e-manage airflow-based adjustments, the Ultimate version includes new and upgraded features. The basic e-Manage Blue unit has been out for many years and is a very powerful unit. This unit does have its limitations and we recommend discussing with us first your vehicle and tuning requirements prior to utilising this unit. RPW utilises full software tuning and is able to unlock all the features of this powerful unit. The more advanced e-Manage Ultimate is still a popular product today and is one we have used widely under certain applications. 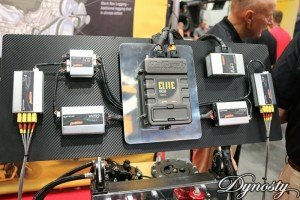 RPW is also a big fan of the Greddy Profec Series of boost controllers. They are simple, consistent and easy to set-up. Compared to many of the after market more complicated units, our experience has been these units match the performance of most other units without the time required in setting them up. 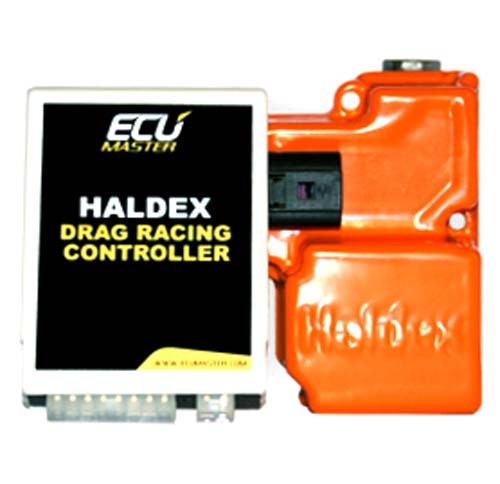 Haltech manufacture the largest range of engine management systems on the market. We are a Premium Dealer for Haltech systems, and have been using there products for over 20 years starting with the original E6S Series of ECU’s. There products have grown in strength over the years and the new products continue to be released with the Elite Series recently eclipsing all the current competition. The Haltech Platinum Sports , Pro Series and Elite systems are the equal of any other manufacturer in there design, ease of use and functions. A wide range of plug and play kits are still on offer, as well as the new Pro Series units specifically made for model vehicles including those utilising Drive By Wire throttle body control. With the best support structure in Australia, and largest range of products, there is no other system on the market which can provide the same value for money product. Haltech also have a wide range of sensors, advanced input and output systems including ignition, wide band Sensors and an expanding range of Can-bus products. Hondata as the name suggests is a tuning solution tailored specifically for Honda vehicles and generally speaking, there are a number of different solutions for recent Hondas. This is suitable for more common applications for 2006 and onwards vehicles however it may also be used for models in previous years. 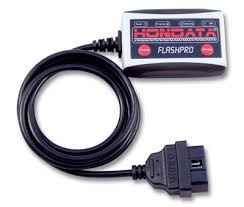 The Hondata system is a system that works with the Factory ECU in place, because as they say there is nothing better than a Honda ECU, to run a Honda motor. The Hondata system allows us to recalibrate for aftermarket modifications and of course custom tune for performance applications. If your car is a daily driver and you are looking at calibrating and custom tuning for relatively straightforward moderation then this may very well be your best solution – Even forced induction and upgraded fuel systems can be tailored for, however we recommend coming in and having a chat about your plans prior to making assumptions on the ECU you use if going this far. Link Engine Management Systems will exceed your expectations. All systems are designed on a basis of excellence, assembled with medical precision delivering a rock solid, repeatable engine performance. Careful thought has been given to ease of installation and tuning so that optimum results can be attained in a minimum of time. Link Engine Management ECU’s cover the range, simple to professional, and provide a range of fully programmable Engine Management Systems covering almost all applications and budgets. Whether your application requires a simple ignition or fuel management system or an advanced full-featured engine management system, Link can offer a cost effective solution. Being the WA premium distributor for link systems, we are fully able to supply and fit these systems to your vehicle with our knowledge and experience in using these systems. Link continue to update there range with new innovative products and it is our priority to continue to provide these services to Western Australian Customers. From humble beginnings more than twenty years ago, MoTeC has evolved into an international force in after market automotive electronics, attracting the support of many top teams in race and rally. Over those years MoTeC has built a reputation for outstanding reliability, advanced technology and high performance products that exceed expectations. Such growth has brought with it a diverse range of customers and a wide array of vehicles, encouraging the constant expansion of MoTeC product capabilities and support expertise. Racepak Data Systems was founded in 1984 to design and build affordable and reliable onboard data acquisition equipment. As Racepak built and refined its early data acquisition systems, the equipment found its way into many forms of motorsports before finally catching the attention of the drag racing community. Though there had been previous attempts to construct data recorders for Top Fuel and Funny Cars, none had proven reliable. Racepak knew that if they could develop onboard data acquisition that could survive in this hostile environment, that it would survive anywhere. 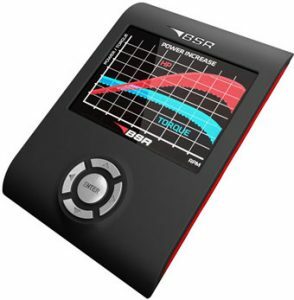 By achieving this goal, the Racepak data recorder was established as the clear choice in data acquisition. The result is that Racepak can now be found on nearly every professional drag racing vehicle competing throughout the world. 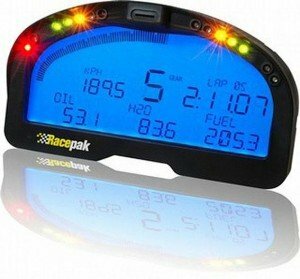 The Racepak IQ3 Dash is a very cost effective dashboard, light-weight and compact this dash can be configured to interface with the Wolf ecu range to display such things as RPM, Engine temp, Boost. This is available as a display dash only, or a logger dash with built in GPS for more track orientated vehicles wanting to check every feature of there racing style. The IQ3 is compatible with many aftermarket ECU systems with its Canbus network. The Racepak SmartWire is a fully programmable power distribution module, capable of controlling 30 outputs (on / off switching) and 12 inputs (switch activated) on any type of 12 – 16 VAC systems. Fuses, relays and solenoids are eliminated, instead controlled through solid state switching inside the housing. Current outputs, switching inputs along with a nearly unlimited variety of and/or on-off switching functions are user programmable through the DatalinkII software. Racing Performance Works has purchased the inovative software from iOTECH which now provides the full Toyota Tuning Suite. We are continuing to purchase full master suites for each ECU Model range as required. This now allows us to remap the majority of 2000 on Toyota and Lexus Model vehicles, especially the late model 2005 models. No more mail order flash tunes – proper tuning on our dyno. This will also enable us over to begin remapping the stock ECU’s to make them Turbo / Supercharger compatible. 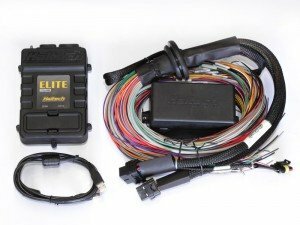 No more need for aftermarket ECU systems. Tuning Dynamics – whether you’re after increased performance or improved economy in your vehicle or fleet, Tuning Dynamics software, developed over the last 20 years, brings you the best the world has to offer in custom ECU remapping and tuning solutions. 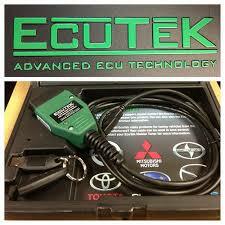 We use no piggy back units, we simply specialize in reprogramming your factory ECU. We use Ktag and Kess hardware for our reading and wiring, the most advanced package on the market. Racing Performance Works is the WA Dealer for this tuning company, and has been performing remapping services for many years. There tunes are sourced from the top tuners from Europe, United Kingdom and the USA, utilising the best tuners for each model vehicle application. All tunes are customised for each vehicle, no generic tunes and all are checked on our dyno to ensure that a comparison between stock and the new tune is provided to the customer. VCM Editors Flash utility allows not just calibration reflashing and automated recovery, but entire VCM/PCM image re flashing. This means that you are free to make any operating system or calibration level modifications and flash those to the VCM/PCM. 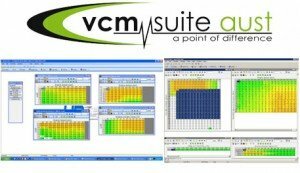 This has many uses for the advanced enthusiast, serious tuner or engine swap shop, allowing complete control over the VCM/PCM software environment. The VCM Scanner utility is a fully featured OBDII scanning and diagnostic tool. It allows viewing, charting and logging of diagnostic data in real time via the vehicle OBDII diagnostic data port. It also allows viewing of vehicle Diagnostic Trouble Codes (DTC’s) and other vehicle information. Built in VCM controls also supported. Command fans, closed loop, gear select, timing, air fuel ratio and more real time! We have found of the various packages available for Ford and Holden Vehicles, VCM Suite offers the best support, product knowledge base and growth to keep up to date with newer model vehicles as they are released. We are very excited to offer this product and find that it complements our parallel development of EcuFlash with Mitsubishi / Subaru vehicles. 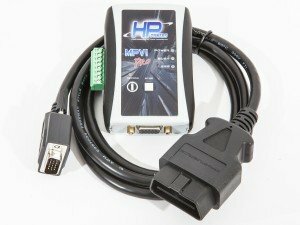 ViPEC fuel injection, and engine management systems, were developed to fill a gap in the market, for ECUs that were reliable, powerful, easy to tune and having features that worked correctly. ViPEC is willing to listen to what the market wants, and dedicated to giving customers excellent support. ViPEC produces two engine management models, the V44 and V88. 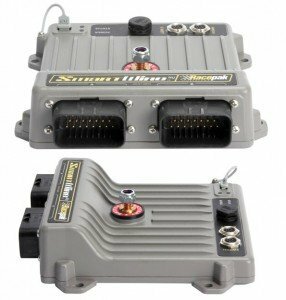 Also plugin ECU based on the V44 and V88 for Subaru, Mitsubishi, Nissan, Mazda and Toyota cars. All offer three dimensional mapping of fuel and ignition and are full sequential up to eight cylinder. Support for up to twelve cylinder wasted spark. Also a four channel twin capacitor CDI ignition. 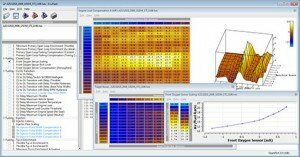 ViPEC software has advanced tuning tools like Quick Tune which enables hands free tuning with no input is required from the user other than running the engine through its various RPM and load sites. Features Tune Ahead which tunes cell around the site being tuned. The engine management systems are well designed with special attention to resistance to interference from other engine components. Main processor is soldered to the ECU board and not in a socket. This ensures a high level of reliability. All models can be upgraded by downloading the latest firmware. 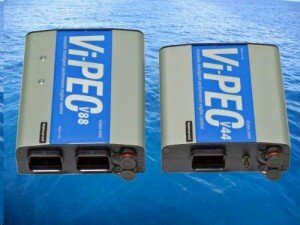 Vipec Systems are manufactured by Link and are now marketed as a premium range of the Link ECU Range. As a Link Distributor, we are also a Vipec dealer. We are able to make changes to your car to meet your needs. Juts because “your car is that way” does not mean it has to BE that way from the factory. We can unleash the hidden performance that is “detuned” by your cars manufacturer, a Power Package upgrade will often result in improved fuel economy, better drive-ability and reliability! Broken into easy stages, each stage build’s upon the previous one for a 1-2-3 approach. All of our dyno tuning is done in house provided with a printout of your before / after results. Supercharger and Turbocharger Conversions for Maximun Power, Torque and towing ability. Racing Performance Work has been adapting after market forced induction kits into vehicles for over 20 years. From bolt on turbocharger conversions, adapting Supercharger Kits, designed by other key firms or designed in-house from within our own workshop. We have worked with key suppliers over the years including Sprintex, Eaton, Garret, GT Pumps to name a few. We are a referred agent for Sprintex Superchargers and Bullet Cars for there supercharger kits for Western Australia. Check out these packages that we can offer you for specific model vehicles. Customer and Project Vehicles, Dyno Sheets, Multimedia and Vehicle Modification Guides. A lot of this data is derived from our earlier websites, but have been kept as part of our “History” and research data, especially for older Mitsubishi vehicles. This data includes Dyno Sheets, Customer vehicle write-ups and detailed information on our own personal vehicles. Sections of this data will continue to be updated with future vehicles. Customer Vehicles which have had significant modifications done and we feel would be of great interest to other customers. These vehicles will have full information on the modifications performed, dyno sheets and any images / video’s linked to that vehicle. We will continue to expand this section over the years. Dyno sheets of various vehicles we have tuned over the years, we have chosen ones which we believe, best represent the range of vehicles we continue to tune. Note – vehicles we have worked on that include both mechanical and tuning work, and are worthwhile, may have a full write up done and are posted under our customer cars section. We hope you enjoy these dyno printouts and we will continue to add to it in the future. This is a temporary page and will be updated as soon as possible. Multimedia Articles of RPW Vehicles found in Various Media Articles world wide. Project Vehicles are those that are used for the purpose of trialing new parts and developing our power packages. 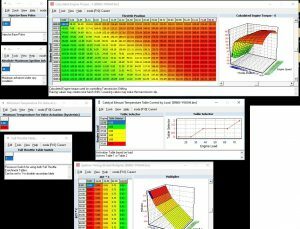 These are full write ups of the work tested with dyno graphs and images of the actual products used. Many of our customers use this information to plan out modifications for there own vehicles. This section was the predecessor to the development of our Power Packages, upon release of a new vehicle, we would source one, outline from our experience, what modifications worked and which ones did not. A beginners guide so to speak on how to modify your vehicle. We have retained this information although some of it is outdated with recent new products and tuning packages, to provide resources for customers with these older vehicles. Need more information? Feel free to send us an email or ring our phone. : 50 Gordon Road (East), Osborne Park, Perth, WA, 6017.
: 08 6142 2771 (VOIP Line Free Call for Australian iinet users). Week Days 9.00 to 5.00 (Vehicles can be left between 8.30 and 9.00 in the morning, and picked up between 5.00 – 5.30). Saturday’s – by appointment only. Please ring in advance to organise an appointment. Contact times are between 9.00 – 4.30 weekdays. After 3.30 we may have the answering machine one so please leave a message.